A number of individuals and organizations have contributed a great deal of time and effort to support the goals and work of NWFLEC. We sincerely appreciate everyone's efforts and this page is dedicated to those people, organizations and businesses that have gone above and beyond in their support and work! THANKS! 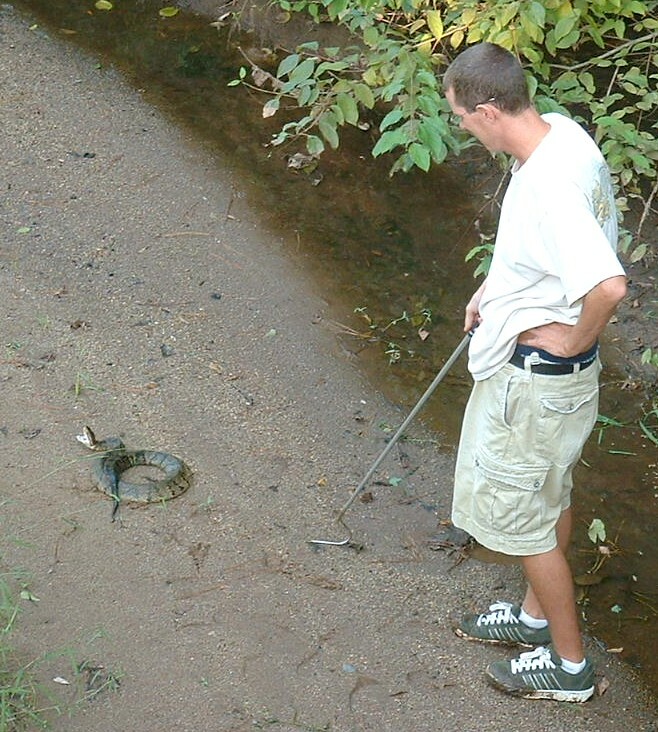 (Above) NWFLEC member Joe Retherford sneeks up on a Cottonmouth in southwest GA! 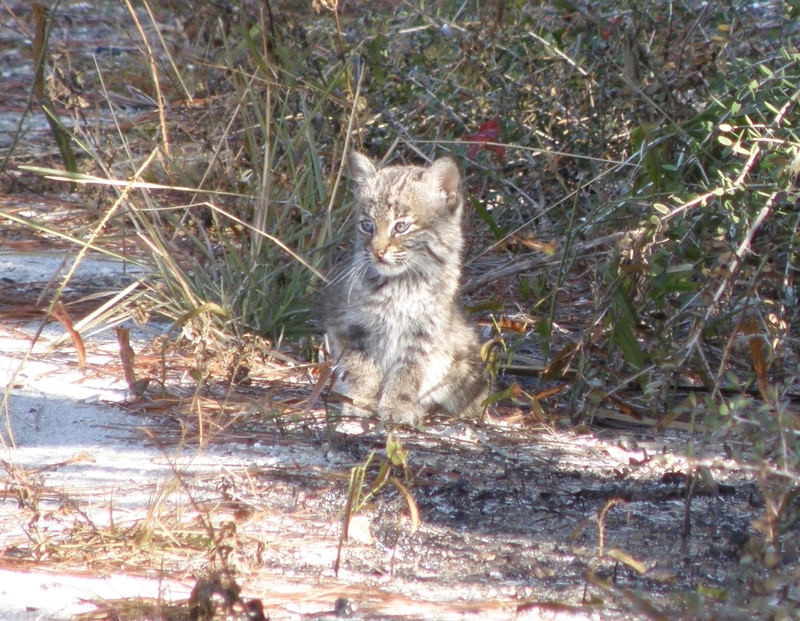 (Below) NWFLEC members Martin & Maggie Haygood photographed this Bobcat kitten at St. Joseph Peninsula State Park in the Spring of 2010! 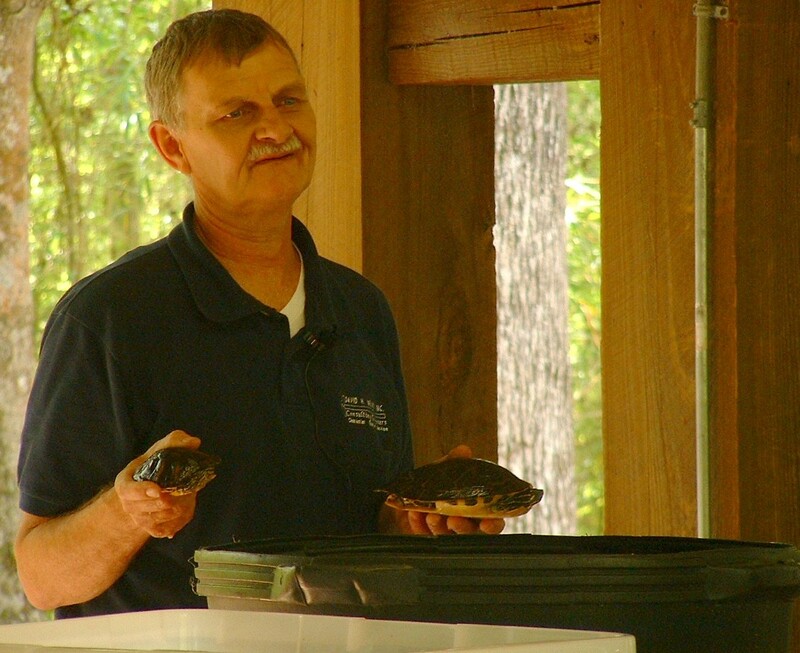 (Above) Brian Bearwood (former NWFLEC Scientific Advisor) holds a Yellow-bellied slider & a FL Cooter during a presentation to students about FL turtles. 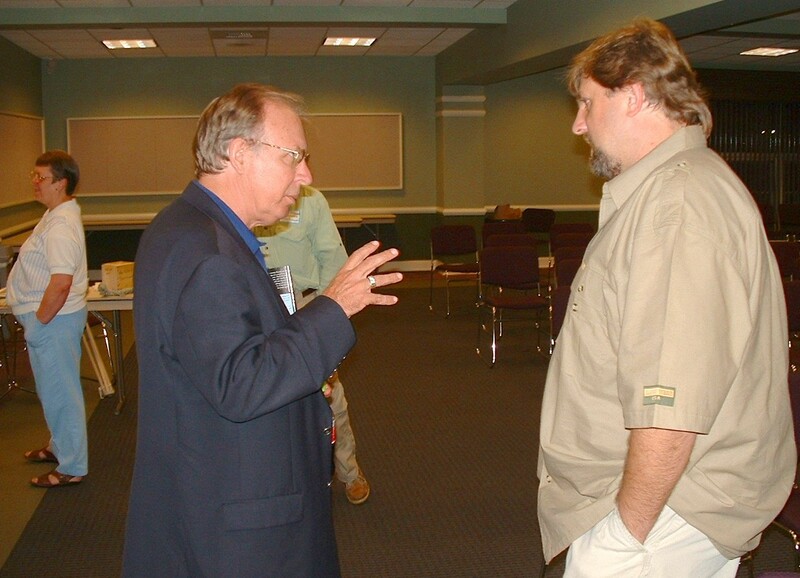 (Above) Art Kimbrough (Founding NWFLEC Board member & President of the Jackson Co., FL Chamber of Commerce) & Karl Studenroth at the NWFLEC 1st Annual Meeting. 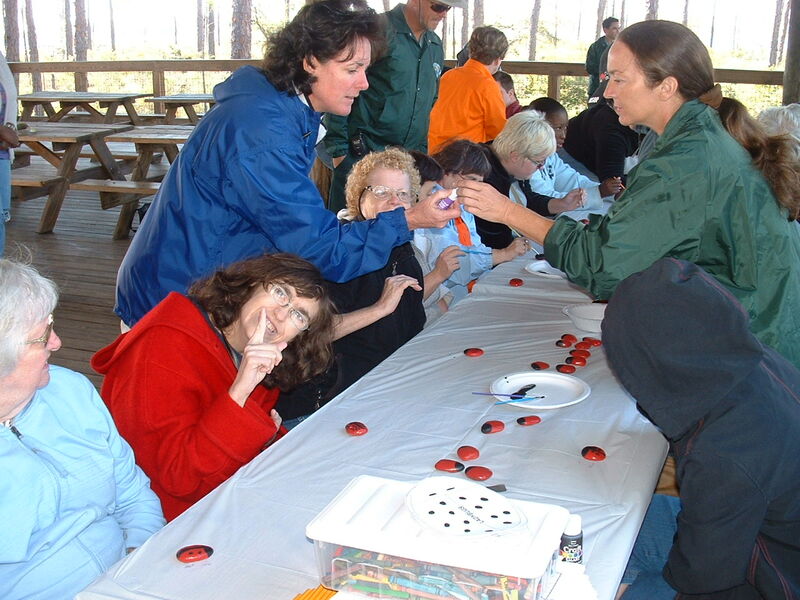 (Right) Tammy Matthews oversees the arts & crafts period of the 2009 Pensacola ARC event. 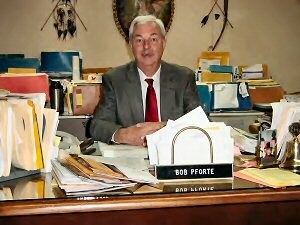 (Above) Bob Pforte (Lifetime NWFLEC member & Founding Board member).